PEN American Center and the Comic Book Legal Defense Fund present a live Mashable/Google+ Hangout On Air with acclaimed graphic novelists Gene Luen Yang and Jeff Smith. 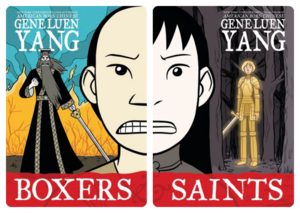 Yang is the creator of the award winning American Born Chinese and the two volume epic Boxers and Saints. He has twice been a finalist for the National Book Award. 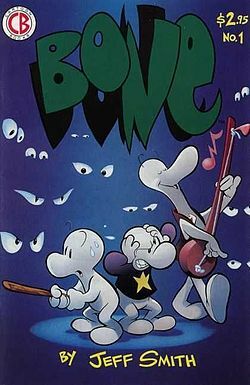 Jeff Smith is the author of the bestselling Bone series (Scholastic), and the science fiction epic RASL, about a time traveling art thief. Like what you see? Donate to PEN and help us promote great literature and defend free expression. Yang will be joined in conversation by Smith, Executive Director of Comic Book Legal Defense Fund Charles Brownstein and PEN American Freedom to Write Fellow, Deji Olukotun (@dejiridoo). Join the conversation, live streaming here, on Tuesday, December 3rd, at 5:30 EST. Can’t watch it live? No problem. You can view the recording after the live event from PEN’s YouTube channel.